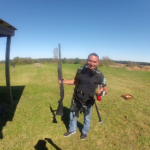 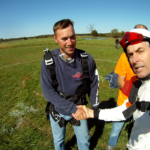 Coming back to the Skydive Flying V Ranch. 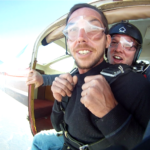 Excited to leave the plane. 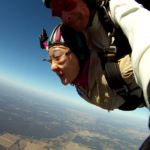 Filmed from outside the plane! 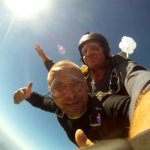 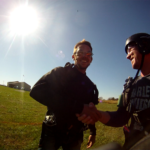 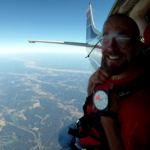 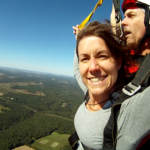 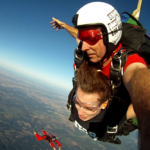 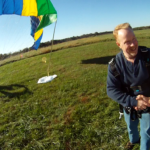 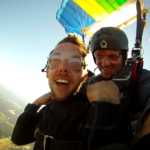 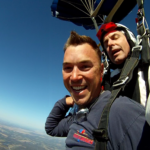 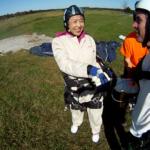 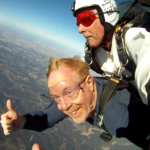 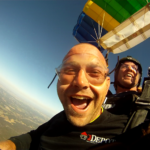 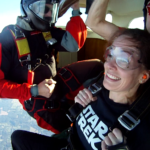 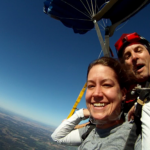 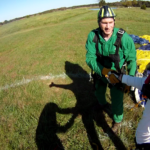 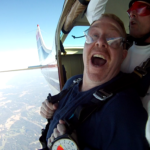 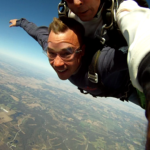 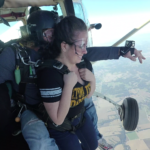 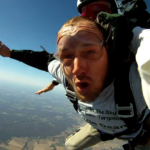 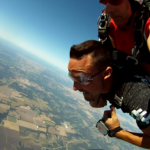 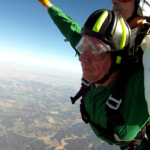 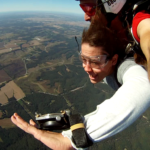 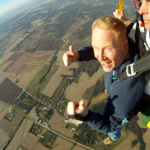 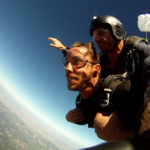 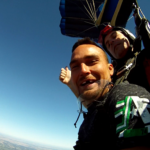 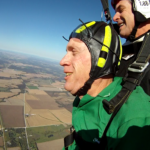 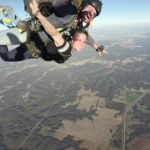 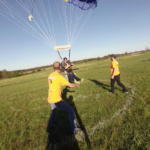 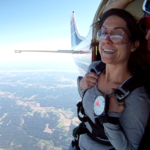 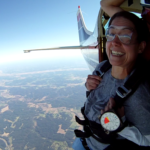 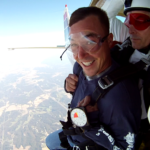 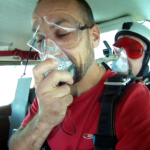 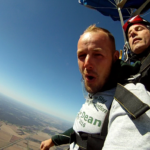 Leslie Dillender’s first tandem jump!